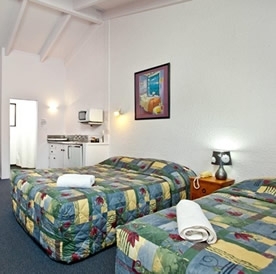 We have 15 ground-floor Whakatane motel units from studio to family, with ample parking available. Four motel units come complete with spa baths and seven with kitchenettes. Amenities for all units include 32in HD flatscreen TVs, multiple Freeview channels, Sky TV channels and FREE WIFI. Our spacious courtyard with barbecues available is a great place to unwind and meet other guests. 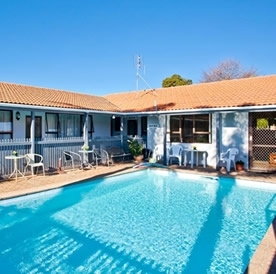 Being one of only two Whakatane motels with a swimming pool, our outdoor pool is extremely popular in the warmer months. We also have an indoor dining area available for group gatherings and meetings, with access to a large fully equipped kitchen. This is very popular with groups/sports teams who want to do self catering. 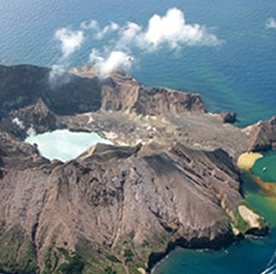 There is a variety of attractions and activities to suit all ages when visiting the Whakatane district (NZ’s Sunshine Capital 2012 and 2013) – from visiting an active volcano at White Island, fishing, diving, surfing, golfing, bush and river walks, Mataatua Maori Marae Experience, and the magnificent Ohope Beach with 11km of golden sand. For your convenience, the Cortez Motel is handily located near the Kopeopeo (Kope) Shopping Centre, which offers cafes, takeaways, supermarket, plus much more. As well, Whakatane's CBD with its variety of restaurants is only a few minutes away by car, as is the hospital. So, see you at the Cortez.